How many trees do you need to plant to offset the carbon emission for charging your iPhone? This morning my stream was filled with all kinds of studies and new research (as it is most mornings), but today, many were missing some vital element that put the results into the 'not helping' category. Let me give you an example: Researchers from Cambridge University have found a way to remove toner from laser printed pages. The idea is intriguing. With this technology, you could effectively buy a printer that would first detect and remove any print already on a page, before printing something new. But one thing is missing: What is the cost of un-printing compared to processing several tons paper at a recycling plant? Without knowing this, we cannot determine if this is a great invention or just a massive waste of money. Obviously the cost of un-printing is probably very low (it's just electricity), but so is the cost per page for recycling paper at recycling plants. I don't know the answer, but I think it is entirely likely that it is cheaper and more environmentally friendly to recycle paper by the ton (at recycling plants), than asking each person to buy an un-printer and recycle one page at the time at home. The researcher should have included this vital data into his findings. 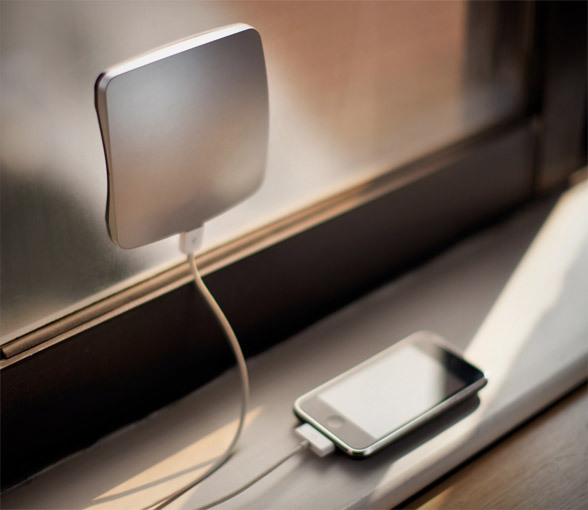 The cost of charging an iPhone is just $0.000862 per charge, but an iPhone solar charger, like this one, is $50. That means that you can charge your iPhone 58,000 times using the electrical grid for the same money. If you charge your iPhone every day, the electrical grid outperforms the solar charger in cost-efficiency for 158 years. Buying this to save money is just silly. But what about the environmental cost? Well, that's tricky to calculate. First of all, only a small fraction of your electrical bill is harmful for the environment. Most of the cost is administration, employee salaries, equipment, infrastructure, etc. We have to compare the actual pollution generated while charging a single iPhone vs the environmental cost of manufacturing and distributing an iPhone solar charger. But consider this. The cost of charging an iPhone is 8.8 Wh, which mean that its carbon footprint is about 1.62 grams of CO2. Compared to a semi truck, which produce about 715 grams of CO2 per mile driven. If the truck delivering your solar charger has to cover 50 miles, you could charge your iPhone 21,000 times using the electrical grid...and still pollute less. Or charge your phone for about 60 years. We are not solving the right problem; it just looks like it. It's an illusion. If you go out and buy an iPhone solar charger, you are actually making things worse. You are not going to use the charger for more than 60 years. Use the electrical grid. It is far cheaper and more environmentally friendly than anything else out there. If you really want to save the environment, use energy companies that produces green energy, like wind power or even solar power at scale. Same with the un-printer. Don't buy a printer to un-print. Recycle and let the recycling plants do it for you *at scale*. Or even better, plant a tree! How many trees do you need to plant to offset the carbon emission for charging your iPhone? The answer is 0.0004 trees per charge ...or one tree every 7 years. And buying a tree, for instance, to be planted in the Brazilian Rainforest, is just $1, so spend $10...or $100. There is no question that we need to save the environment and that pollution is a problem. But we need to solve it at scale. Startups who try to solve it by giving people gadgets to put inside their homes are not creating the right solution. They are making things worse. XD Design, the company behind the iPhone solar charger, had all the right intentions, they just didn't think. They only looked at half the data. It may be the same with the un-printer. The researcher had all the best intentions, but he too is also only looking at half the data. They are not solving the right problem. What I really want to see, however, are startups who try to solve this at scale. Think big! Put up mile long underwater propellers directly in the line of the gulf-stream or something. Put steam pipes into a volcano. Invent a new type of battery. Reduce the energy needs of our devices and machinery. Use the excess energy that is happening everywhere. Put solar panels on every roof. Put small electric generators in the sewers, so every time you take a shower, you are actually producing electricity. Put an electrical conductive layer under every road, one that produces electricity when you apply pressure from cars driving by. Put a solar panel on every light post.